The French Open held its first women's singles championship in the year 1897, six years after the inception of the tournament. From 1897 till 1926, the winners were all from France. The fist overseas player to win the French Open was Dutchwoman Kea Bouman in 1927. It has been 18 years since the French Open had a French winner - that was Mary Pierce in the year 2000. Without a doubt, the greatest claycourt player of all time in the women's field is American Chris Evert, who won an all-time record of seven titles in Paris. Evert is to the women's game what Rafael Nadal is to the men's game on clay. Other noteworthy champions who won numerous titles on the Parisian clay include Suzanne Lenglen, Steffi Graf, Justine Henin, Helen Wills Moody and Margaret Court. The winner is awarded a replica of the Suzanne Lenglen Cup, named in honor of the great Frenchwoman who won six titles here. Over the years, tennis fans around the globe have been enthralled by some high quality tennis in Paris. 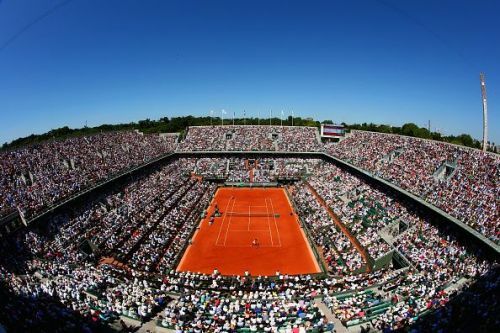 Although in terms of prize money and audience the French Open ranks the lowest among all Grand Slams, there has been no dearth of classic final matches here. We take a look back at five of the greatest French Open finals of all time. For years, Martina Navratilova and Chris Evert dominated the Women's field and managed to each win 18 Grand Slam titles. The new guard had to takeover and one of the youngsters who shook the tennis world with flair and supreme skill was German starlet Steffi Graf. Graf entered the 1987 French Open in decimating form. The No. 2 seed dropped only one set to fellow teenager Gabriella Sabattini en-route to her march to the final. The final saw Graf face-off against top-seeded Navratilova who had already established herself as a legendary figure in tennis. The match was evenly poised with the pair winning a set each. In the third set, the more experienced Navratilova had an opportunity to win the title, serving for the match at 5-4. She was broken in that game, and again at 6-7, handing Graf her first Grand Slam title at the age of 18.